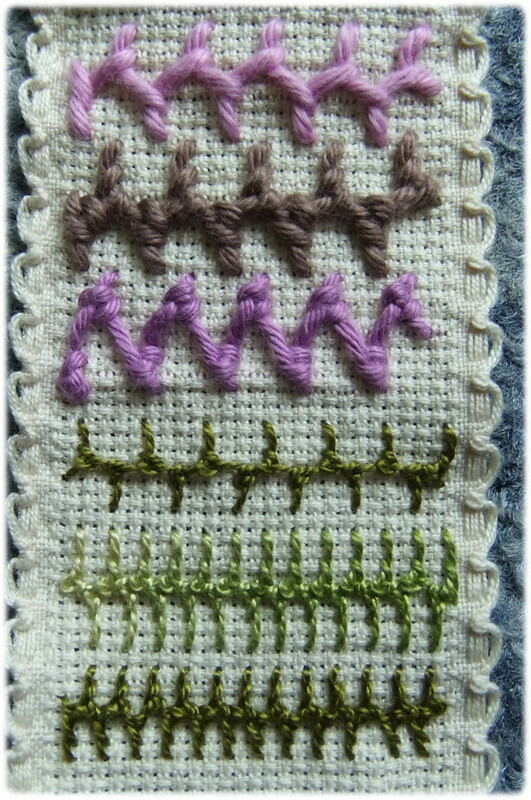 One more old TAST stitch: knotted kretan stitch. Yes, I had an uncreative day. One fine day I’ll need to spend some more time with this stitch. This entry was posted on Monday, July 21st, 2014 at 10:35 pm	and tagged with hand embroidery, knotted kretan stitch, TAST 12 and posted in embroidery, TAST 2012. You can follow any responses to this entry through the RSS 2.0 feed.